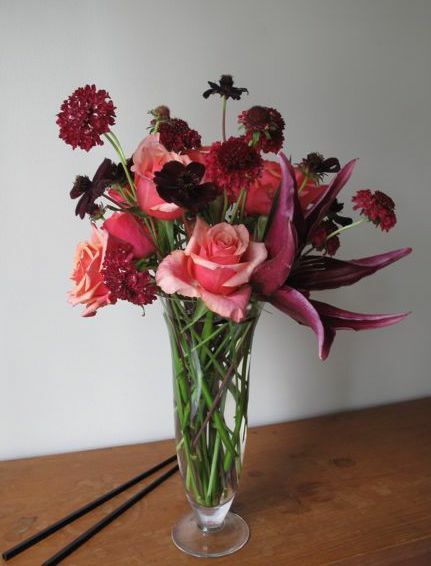 Even the stems in this arrangement are wonderful the way they crisscross each other. I love the close up and think the colors are beautiful and different. Great arrangement. 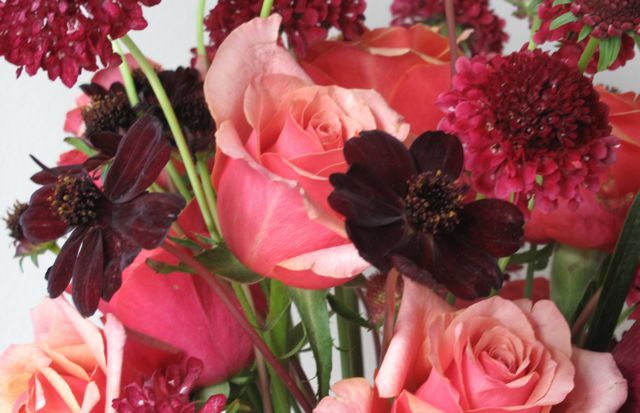 I love monochromatic arrangements, and I especially love chocolate cosmos (although it always seems to make me hungry)! 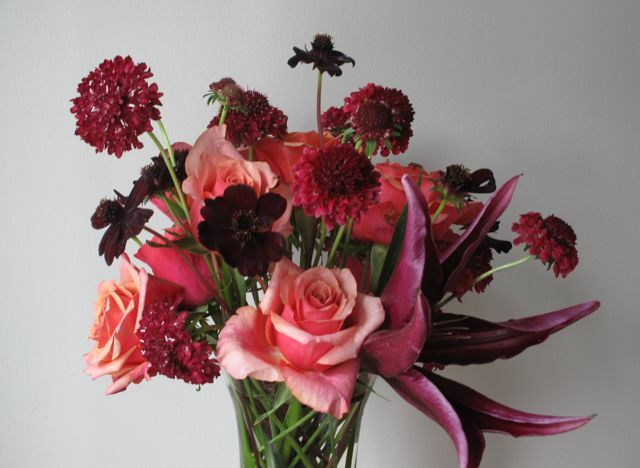 I really think the chocolate cosmos cut the sweetness of the colors and make this arrangement perfect!